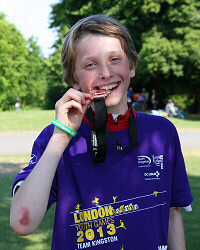 Throughout the season Kingston Junior Cycle Club runs race days to test KJCC rider skills in a competitive environment. Competition at KJCC is pitched at the being the best you can be, improving on "personal bests" and chasing the rider immediately ahead of you. KJCC staff can help riders apply for their BC membership and race license so please do ask. It is important riders link KJCC on their license. KJCC Facebook and KJCC Twitter feature regular updates from our cyclists competing. Do keep an eye on the KJCC Event Calendar and the KJCC Facebook page as new events and opportunites are posted regularly.